The Digital Research Library of Illinois History Journal™: The Chicago Lager Beer Riot of 1855. Before Chicago became incorporated as a town in 1833, its residents were served by several taverns that brewed their own ale. Haas and Sulzer, the first wholesale brewery, began brewing ale in 1835. The first year they brewed 600 barrels. Both Haas and Sulzer sold out a few years later. Konrad Sulzer moved to a farm on the north side of Chicago. (The Sulzer Regional Library is named after him.) 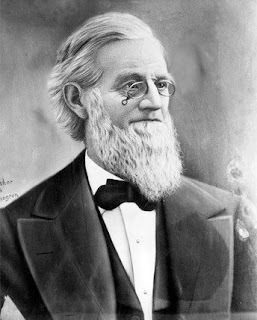 His share of the brewery was bought by William Ogden, Chicago’s first Mayor, starting a long Chicago tradition of politicians with roots in the beer industry. In 1837, Chicago was incorporated as a city. 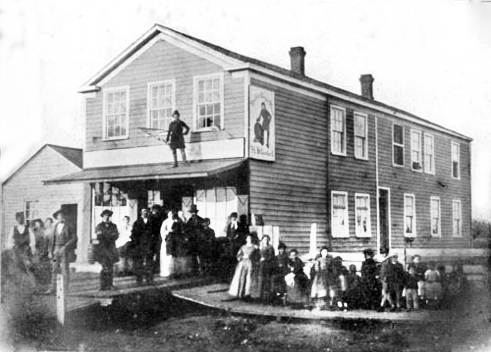 The Charter gave the Mayor the power to regulate groceries (the time-period name for saloons), taverns and other liquor establishments. It was forbidden to sell liquor to servants, apprentices and Indians and no sales at all on Sundays. The stage was set for well over 100 years of municipal strife over where and when and who could drink what. Until 1855, Chicago's streets were policed by county constables. Chicago’s first mass civil disturbance happened on April 21, 1855. With most municipal services either privatized or organized at the neighborhood level, city elections in the 1840s and early 50s had been nonpartisan contests of little interest to anyone except real-estate owners. The extremely low voter turnout permitted this quietly mobilized coalition to win control of city hall with a thin base of popular support. In the early 1850s over 60% of the Chicago population was foreign-born. The immigration flow of primarily Roman Catholic German and Irish immigrants raised the degree of xenophobia in the native population which manifested itself politically in the Know-Nothing Party, which briefly held substantial legislative power in Chicago as elsewhere in the country. At the same time, early Prohibitionists and temperance advocates who were interested in moral reform and public order were active in the Illinois legislature had passed a state prohibition ordinance, which was to be voted on in March 6, 1855. 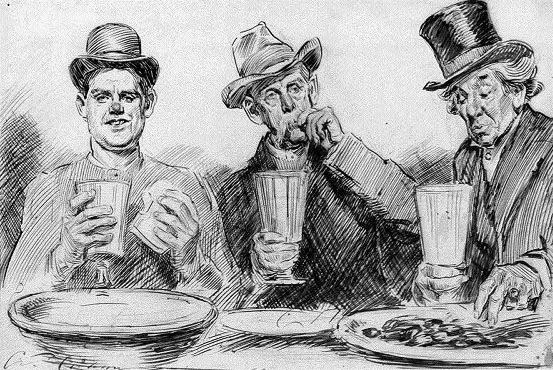 Chicago's German population, concentrated on the North Side, enjoyed their neighborhood beer gardens, and abhorred prohibition. Once elected, Mayor Dr. Levi Boone, great-nephew of Daniel Boone, and the new council majority hiked liquor license fees while also shortening license terms from one year to three months. Expecting resistance, Mayor Boone “reformed” the city's police force: tripling its size, refusing to hire immigrants, requiring police to wear uniforms  for the first time. Mayor Boone then ordered enforcement of several widely ignored laws forbidding Sunday drinking and mandating that taverns be closed on Sundays. Whiskey drinkers, usually American born, could buy their tipple on another day and drink in the privacy of their homes. Immigrants, Germans in particular, favored beer and didn’t see the harm in Sunday drinking. At the time bottled beer was a specialty item. Almost all beer was served out of wooden kegs, necessitating rapid consumption on or near the premises. The police forced the North Side bars to obey the ordinance, but allowed American bars on the South Side to stay open. This led the city council to raise the cost of a liquor license from $50 per year to $300 per year to be paid quarterly. These were intentionally provocative acts aimed at Germans and Irish accustomed to spending their leisure hours drinking and socializing after a long hard workweek. The Germans organized to resist the $300 license ordinance by raising defense funds for tavern owners arrested for noncompliance. Prosecutions clogged the city courts and attorneys scheduled a test case for April 21. This, in effect, scheduled the riot. A huge crowd assembled to support the defendants. Mayor Boone ordered police to clear the courthouse area, which resulted in nine arrests. An armed group from the North Side German community decided to rescue the nine prisoners, but Boone held them off by keeping the Clark Street swing bridge open until he was able to assemble more than two hundred policemen. This left many German people trapped on the bridge on their way to protest. The police then fired shots at the protesters stuck on the Clark Street Bridge over the Chicago River. When the bridge was closed, the North Siders surged across. Shooting began. Police then fired shots at protesters stuck on the Clark Street Bridge over the Chicago River. A policeman named George W. Hunt was shot in the arm by a rioter named Peter Martin. Martin was killed by police, and Hunt's arm had to be amputated. Boone called in the militia, and the riot ended in minutes. The riot resulted in 1 death and 60 arrests. Two were convicted, and none were ever actually imprisoned. 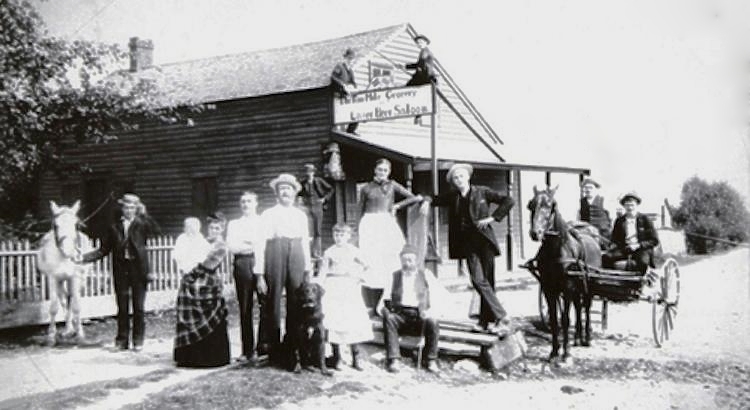 In March 1856, a heavy German and Irish turnout defeated the nativists, causing the $50 liquor license to be restored. More important was the renewed attention to city elections on the part of political party leaders, ending the era of municipal non-partisanship. Later that year, the prohibition law was voted down and open Sunday taps were the law in Chicago for another 65 years. The era of Daguerreian and Early American Photography on Paper was between 1893 and the 1860s. Chicago Police Officers were without uniforms in the beginning - their only distinguishing mark was a leather badge attached to their hat bands. In 1855, the first uniform was adopted: a blue frock coat (nicknamed “copper”), blue navy cap with gold band, and a plain brass star. Officers carried heavy canes by day, batons by night, and used metal, “creakers” to call for help. Then there were the heavy coat jackets which stayed buttoned up to the top all year ’round. A story has it that one hot summer day, a compassionate captain ordered his men to doff their coats. No one moved. He repeated the order. The men obeyed and were immediately sent home. Not one was wearing a regulation shirt. Most wore just an undershirt; some, no shirt at all.